October has been busy, semester is finishing up, I have a lot of assignments and not a whole lot of spare time. I still have some things I've enjoyed this month though. 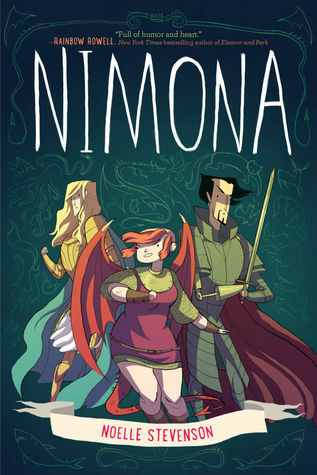 I finally managed to read Nimona by Noelle Stevenson. It was a glorious as everyone said it would be. I'll post a review later. I've been somewhat obsessively listening to Selena Gomez' new album, Revival. My favourite songs are 'Kill Em With Kindness' and 'Me and My Girls'. 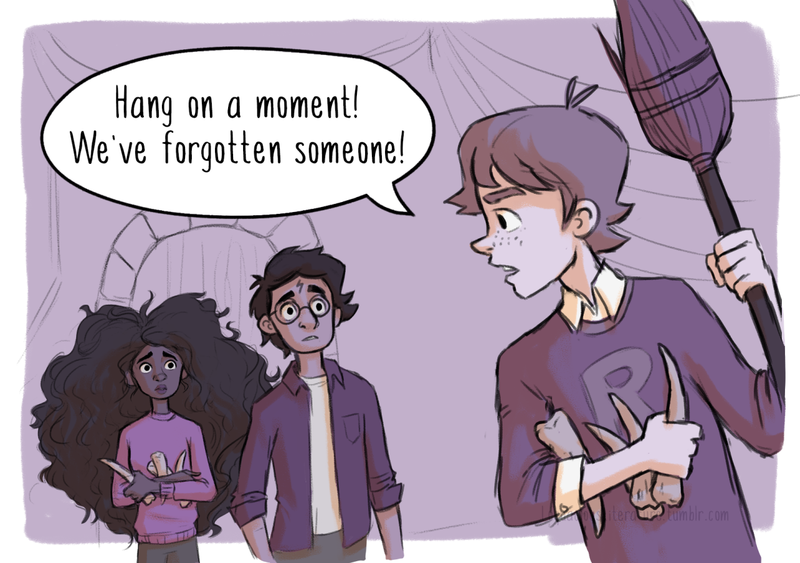 I really like Loquacious Literature's cute Harry Potter comics. She's really talented, and I always love seeing her art pop up in my tumblr dash. The picture above is from this one which is a scene from the Battle of Hogwarts in Deathly Hallows. I particularly love it when Harry Potter art shows Ron from the books, because the movies missed out on so much. I always enjoy Sprinkle of Glitter and her recent Halloween craft video was such an excellent example of how my own attempts at crafting always go. Shannon Hale is one of my favourite authors, and this month she ran an interesting project over on her blog called Stories for All. She had a bunch of guests (teachers, librarians, authors) write posts about their experiences with the concept of boy books and girl books. I particularly liked this one by Rebecca Richardson, a teacher. She really sums up a key problem is insisting boys can't read 'girl books'.